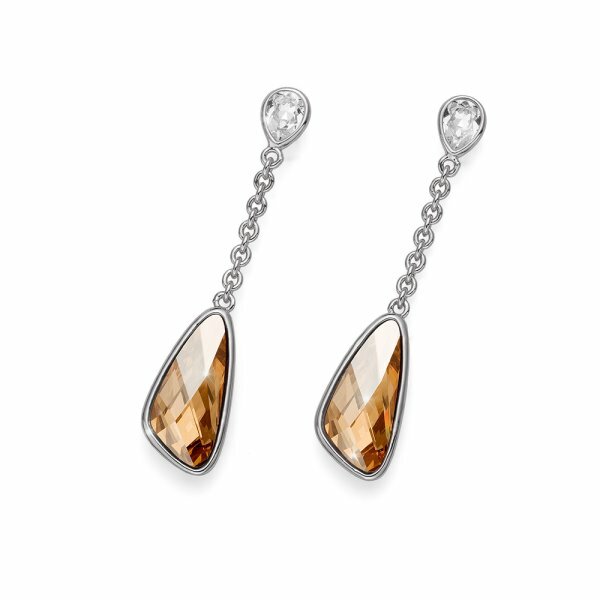 Earrings made of rhodium plated metal with golden and clear Swarovski® crystals. Size 4.5 cm. Add the matching necklace for a refined look.